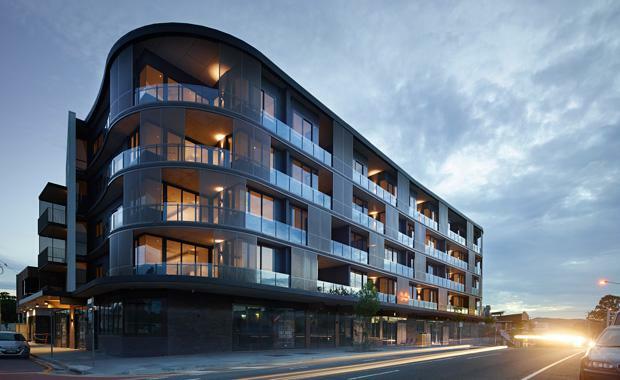 The need to respect and respond to the context of the existing built environment may be one of the most important rules towards sensitively developing apartments in established suburbs. Design that emphasises local context is the solution to overcoming concern from local council and residents who worry new multi-residential developments may detract from the character and overall appeal of prestigious suburbs. The benefits of creating low to mid-rise apartment dwellings in established inner and middle-ring suburbs are well documented, in terms of both urban planning and supporting the cultural health of citizens. These developments meet the demands of buyers, mainly downsizers and first homebuyers, who have lived in established suburbs most of their lives and wish to remain in these areas for years to come. At Rothelowman, we are currently developing a number of projects that both explore and honour their social, architectural and historical surroundings. In doing so, we are creating dwellings that gel with and attract the local people. When designing an apartment building a strong focus is needed on the contextual, specific and unique elements of the site to connect it with the area, a generic formula is no longer enough. 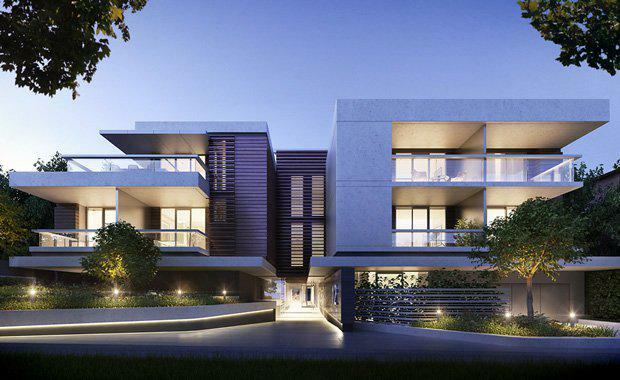 Graceview, a five-storey apartment development located in the established middle-ring Sydney suburb of Turramurra, exemplifies this design philosophy. This building takes its design cues from its neighbouring sites – the heritage-listed brick-built church, St Margaret’s, and Cameron Park. Architecturally, Graceview responds not only to St Margaret Church but also to the many large brick houses that characterise Turramurra. Careful to preserve these much admired community spaces, our contextual design response was to build this 54-dwelling project around six beautiful, volumetric brick forms. These low, integrated brick towers respect the height of the church and sit back from the park, amid the foliage, in a manner that is unassuming yet sculptural. Graceview gave us the opportunity to tell a tale in brick. Working with this local heritage material, as architects we were able to listen to the local story and incorporate this narrative into 2 of 2 the design. As a result, people who have lived in Turramurra their entire lives have responded to the project in a very positive manner. In projects such as Graceview, we are exploring new ways to provide neighbourhood connection. We are seeing higher levels of owner-occupancy from downsizers and first homebuyers looking to stay in the suburbs they already know and love. This in turn drives higher quality architecture. For our recent development Canopy in Melbourne’s beach side suburb Elwood, we wanted to provide the experience of living in a beach road mansion, in keeping with the suburb’s ocean lifestyle. Located in a largely single residential area, we designed Canopy as a four-storey development across two modern, geometrically inspired buildings to offer an aesthetically pleasing and proportionate response to suit the eclectic, existing architectural environment. Graceview and Canopy are just two examples of Rothelowman projects that pay homage to their location and site history. Other examples include The Glass Factory in West End (once home to the Decorative Glass Company), Light + Co in West End (formerly The South Brisbane Gas & Light Company), Tip Top in Brunswick (previously home to Northern Bakeries and later Tip Top Bakeries), and Corde in East Brisbane (which pays tribute to the Forsyth Rope Works site located adjacent – formerly the only rope manufacturer in Queensland). It is our belief that by providing these strong links to site history and in our design, we cannot only preserve the history of established suburbs, but support population growth and future generations in a sustainable manner.